Cheerful and bright, classic with a bit of edge, international fashion brand, UNIQLO, is soon to be on every stylish Philadelphian’s lips. Slowly rolling through both the metro area and surrounding suburbs, the Japanese retailer is making swifts moves into the City of Brotherly Love, and we couldn’t be more excited. Living out its name in nature, UNIQLO is owned by Fast Retailing Company (of Theory, J Brand and Helmut Lang fame). This fast-moving clothing name is opening up several brick and mortars in and around Philadelphia. Known for its affordable selection of everyday mix-and-match basics in a vivid palette, you can fill your closets with silky crew neck t-shirts, slim-cut blazers, broadcloth shirts, tailored chinos, dresses, denim and leggings. UNIQLO carries collections for men, women, babies and kids, all boasting big news in innovative fabric technologies and sigh-worthy price tags. Imagine getting a great outfit for under $100. With a location already at the King of Prussia Mall, UNIQLO is bringing their modern take on classic silhouettes with two new locations this fall. First up, Center City dwellers will be able to get their hands on all things cool at 1608 Chestnut Street. Then later in the month, the burbs will be home to another hot spot at the Willow Grove Park Mall. 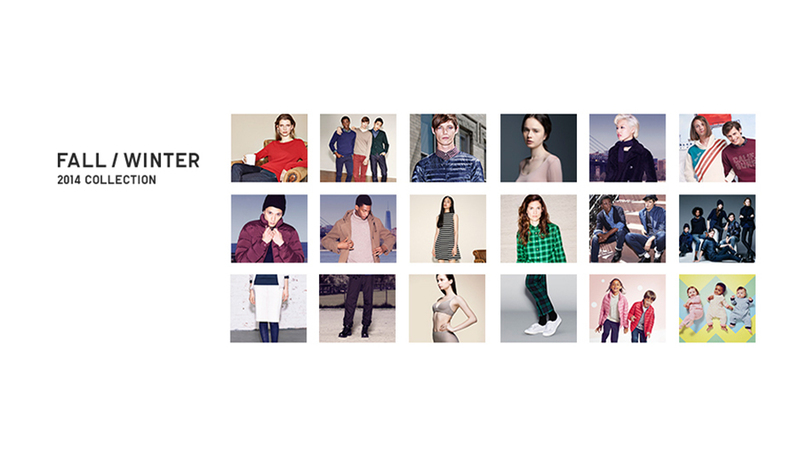 Here’s what UNIQLO had to say about its takeover of the Philadelphia fashion scene. PM: How would you describe the unique style of UNIQLO? U: UNIQLO creates clothing that focuses on the wearer, with comfort you can feel, that takes into account the functionality required of an everyday item. Our LifeWear is a completely new category of fashion that blurs the line between sportswear and casual clothing. PM: How does that philosophy fit into our city’s sense of style? U: Philadelphia is known for its eclectic mix of fashion that merges big city, high style design with must-have basics. Our products offer the latest essentials with innovation and real value. Our sustainably grown Supima cotton line, linen shirts, premium jeans, and exceptional basics such as polos, fleece and UT T-shirt collection are all items that fit seamlessly into any wardrobe. They’ll provide a base for our customers to mix and match with their favorite fashion pieces. PM: How is UNIQLO’s style different than what Philadelphians have seen from other retailers? PM: What items will savvy Philadelphians be dying to get their hands on? We know in the heart of baseball playoffs and football season, Philly’s dedicated sports fans need great layering pieces as they cheer on their favorite players and teams. Our unique HEATTECH products, which generate and retain heat, provide warmth and comfort in cooler conditions. HEATTECH is also great for those fall runs when you need a little extra warmth as the temperature drops. Our Ultra Light Down jacket is another affordable and stylish go-to product for whenever a cold front moves in. PM: How does UNIQLO plan on embracing the Philly crowd and imbedding itself in the community? UNIQLO created a marketing campaign celebrating new store openings in Boston, Los Angeles and Philadelphia. Ranging from local aspirational heroes to large-scale entertainers, the campaign features a cast of forward thinking, socially conscious, “next generation” icons in the arts, technology, sports and entertainment. The faces of the Fall Winter 2014 People Campaign align with UNIQLO’s LifeWear philosophy – the company’s vision of providing high quality clothing that promotes comfort and enriches lives, allowing customers to create their own individual style. Together with UNIQLO, each of the cast members shares a common goal of improving our world through culture and community. The cast will be featured wearing select items from the UNIQLO 2014 Fall Winter collection, which was styled to embody their unique personalities and the personality of the cities they represent. With everything from jeans to dresses, linen pants to workout wear, UNIQLO is truly a unique addition to urban-chic Philadelphia.